How does a shy, reserved girl become a respected community leader, world-renowned tech innovator and relentless champion of women’s empowerment? For Regina Honu it started with an open mind and the willingness to take risks. A competition she won as a 16-year-old took her to Norway on an AFS study abroad program. From that transformative experience until today, Regina hasn’t stopped questioning the status quo and making bold steps to changes the lives of girls and women in Ghana and throughout Africa. 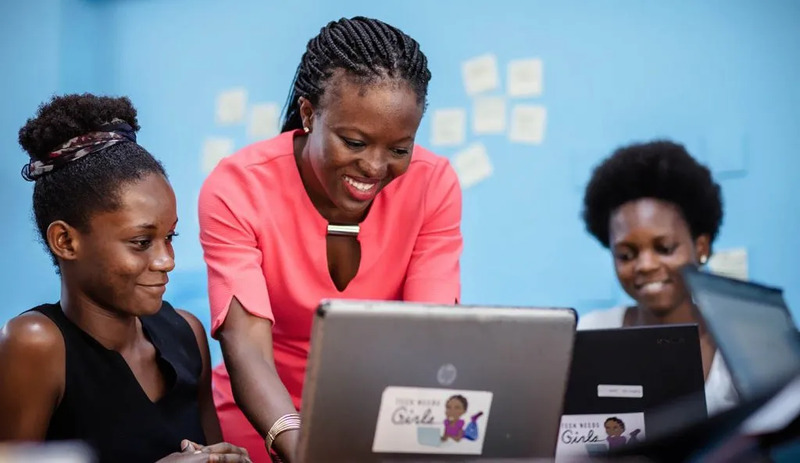 Regina Honu is the founder and CEO of Soronko Solutions, a software development company, as well as the Soronko Academy, Tech Needs Girls and many other initiatives. 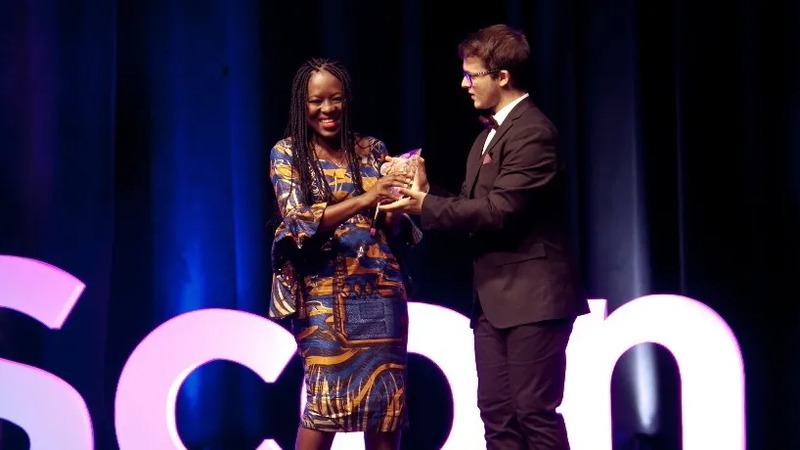 She has received numerous recognitions, including being featured on CNN as one the inspirational women who rock STEM (science, technology, engineering and maths), honored among women making an impact in Tech in Africa, named as one of 10 female entrepreneurs to watch in emerging economies, awarded Young Entrepreneur of the year by the GPA Awards from Africa 2.0 and much more. She belongs to the African Leadership Network and is a Mandela Washington Fellow. In 2018, she became the first winner of the AFS Global Citizen of the Year Award. Your work generates impressive social impact in Ghana. Can you tell us more how you decided to become a social entrepreneur and what success stories you have seen so far? We launched the Tech Needs Girls program to teach girls from underprivileged or disadvantaged communities coding skills, critical thinking and problem solving. We believe this will help them have better opportunities in life, like being able to find better jobs and have an important skill for their future. 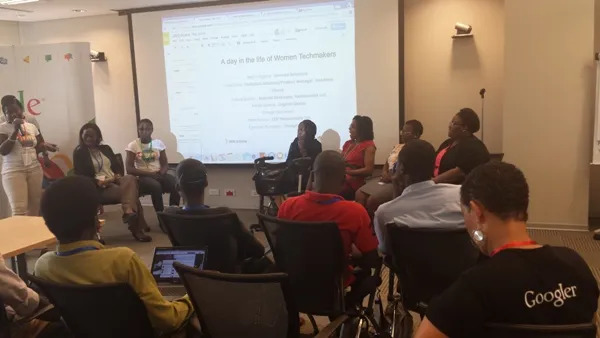 So far, Tech Needs Girls has trained 5,500 girls from eight regions in Ghana. We have also expanded it to Burkina Faso. The first impact we see in girls who take part in our programs is that they become more confident and find their voices. This is key in a patriarchal society where girls are taught “their place,” and they are constantly told what they can or cannot do. Girls are often discriminated against or limited based on gender, so we empower them to discover their strengths. For me, it is very important that girls find themselves and know they can do anything, that the only limit in their lives is the one they impose on themselves. Their gender doesn’t have to hold them back. Secondly, some of our alumnae get full scholarships to study computer science at a University or senior high school. Some start their own businesses with their tech skills: They build their websites and web applications. Some start their own foundations to give back. That’s the thing about women—once they receive an opportunity, they look for ways to also bless other. That domino effect in the community is why we think it’s important to empower women. For example, one of our girls, who is only 19 years old, and who suffers from sickle cell anemia (an inherited condition that affects the red blood cells) created a foundation and website to raise awareness about this condition. This resulted in launching screenings for hundreds of people. We are amazed by and proud of what these girls are doing. How do you use technology to teach young people about critical thinking and problem solving? What can other organizations learn and replicate from your experience? Formal education in Ghana is largely based on rote memorization and not questioning the teacher. It’s flaw is that it doesn’t foster critical thinking and problem solving. However, today’s world requires that children explore their creativity and get more practical knowledge and skills. Education should give them local context relevance, such as why certain problems exist and what resources are available to tackle them. Technology can bridge many infrastructural gaps and help create a virtual world for children to explore and push boundaries. Replicating success stories is essential. Education is changing, and technology is a big disruptor. It’s essential to teach young people not to take things at face value, but to dig deeper and bring themselves into everything they do. We should always consider: What is the best way to tackle a problem? How can children apply their ingenuity? How can learning become something young people are passionate about? Young people are seeking knowledge, and it doesn’t have to be boring and impractical. Education should come to life, they should be able to connect the dots, to see why what they are learning is relevant at different points in their life. Critical thinking and problem solving are important and technology is a critical tool to help them develop those skills. What obstacles or challenges have you encountered on your way, and how did you overcome them? The three biggest obstacles for me have been changing people’s mindsets, sustaining the success of certain programs, and finding a good way to grow and expand them. Introducing change in communities has always received a lot of scrutiny. Even now when I say I want to teach children to code, some people say it’s difficult, that children won’t understand it, especially the girls. Stereotypes that science and math are for boys are still present. It’s hard when a community doesn’t know what an empowered girl is. They can sometimes reverse our work by putting girls in a box. This was a difficult challenge, but we partnered with trusted community leaders. Once we had their support and endorsement it became easier for us. Media is also very powerful, and we use it a lot and very deliberately. I do a lot of interviews on radio and the TV because it’s important to have visible women who are in this space. Girls benefit from having successful mentors. Sustaining the impact of our work can be challenging. That’s why we set up a coding academy: to have training programs and infrastructure for girls to practice their skills. Resource allocation is also a challenge: We want to teach more, but we are limited by the equipment, the cost of data and the internet, especially in rural areas. Finally, we want to expand our curriculum to include the Internet of Things (the internet connection between computing devices embedded in everyday objects), Artificial Intelligence (AI) or robotics, but we struggle to find people who are both skilled in the subject matter and can teach. With young people, you need someone who is patient, who can connect with them and motivate them. Some challenges you just have to keep trying to overcome with different stakeholders. That’s why we rely a lot on partnerships in areas where we have a gap to fill. For example, we run a program called Women with Digital Skills that also covered soft skills—how to take interviews, speak and present themselves. So we partnered with an organization that offers this wholistic training about leadership and entrepreneurship. What did you learn from your AFS experience? How did it change your life? I took a science class in Norway, where I spent my AFS exchange year, that was very different than how science is taught in Ghana. Science classes at home focused on memorizing information and taking tests. In Norway, teachers asked us to apply our knowledge to solve problems. That was such a challenge for me that my physics teacher even suggested I should drop the science course. Those are the skills I emphasize in my programs today. AFS changed my life journey. I don’t think I would become who I am today without that experience. It transformed me. Even how I do things today is different because of AFS. Once I came back, I started asking a lot of questions. I didn’t just take things for granted anymore. Now I really wanted to change the lives of other people, see things from their perspective. AFS transformed me and I am thankful for that experience that expanded my worldview.